The last Cracking the Frame screening before a three-month summer break is dedicated to the American writer Paul Bowles. I knew Bowles only for the Bertolucci’s film adaptation of his book The Sheltering Sky and I watched this documentary almost by chance this year at Berlinale. I was blown away! Great footage, beautiful animations, an interesting cast of characters and the life and ideas of Paul Bowles and wife, two radical thinkers who truly embraced their beliefs and gave true sense to the term ‘alternative way of life’. I am extremely glad to be able to bring this film to Amsterdam for its very first Dutch screening. If you’re in town on the 21st of May, don’t miss it! Tuesday 21 May, 19.30h at Rialto cinema Amsterdam. Among the most mysterious and charismatic counter-cultural icons of the past century, American writer and musician Paul Bowles was also one of the most influential. Following the publication and immediate success of his first novel, “The Sheltering Sky”, Bowles moved to Tangier in 1949, refusing fame and disappearing from public life. Tangier in the 40s and 50s was an exotic sanctuary for artists, writers and the wealthy to do as they pleased without fear of prosecution. Openly homosexual, Paul Bowles was married to the lesbian writer Jane Bowles. A circle of heretic intellectuals began forming around them: Tennessee Williams, Truman Capote, Gore Vidal, Jack Kerouac, Alan Ginsberg, William Burroughs, the Beats and finally the Hippies all searched him out, lured by the mysterious and magical world he depicted in his books. 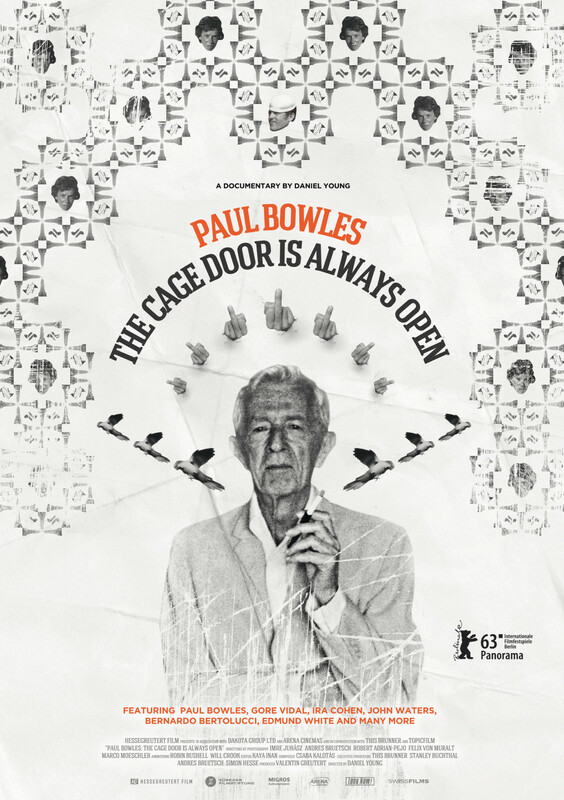 Using conversations with Bowles, interviews with numerous fellow companions, rare archive footage and original animations, PAUL BOWLES: THE CAGE DOOR IS ALWAYS OPEN captures the daring and visionary life of a man and the extraordinary role he had in fuelling the imagination of generations of writers and liberal thinkers.